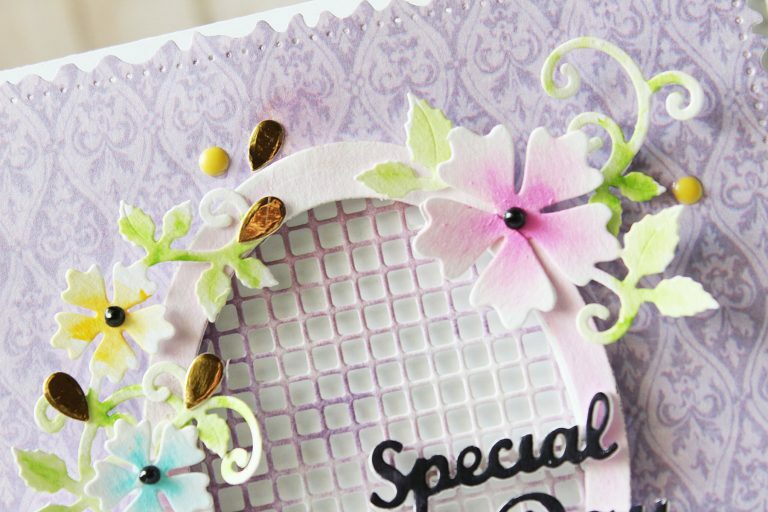 To create my card, I first started by die cutting the largest die from the Vintage Stitched Squares die set from a lilac patterned paper. 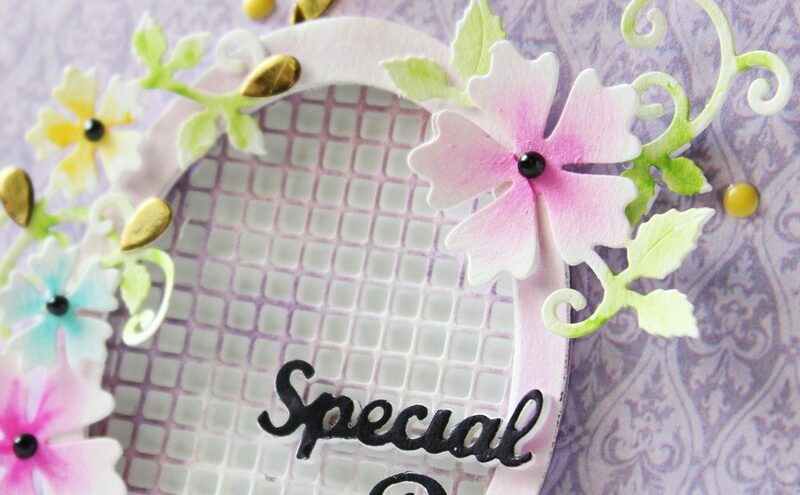 I adhered this square piece on my card base. 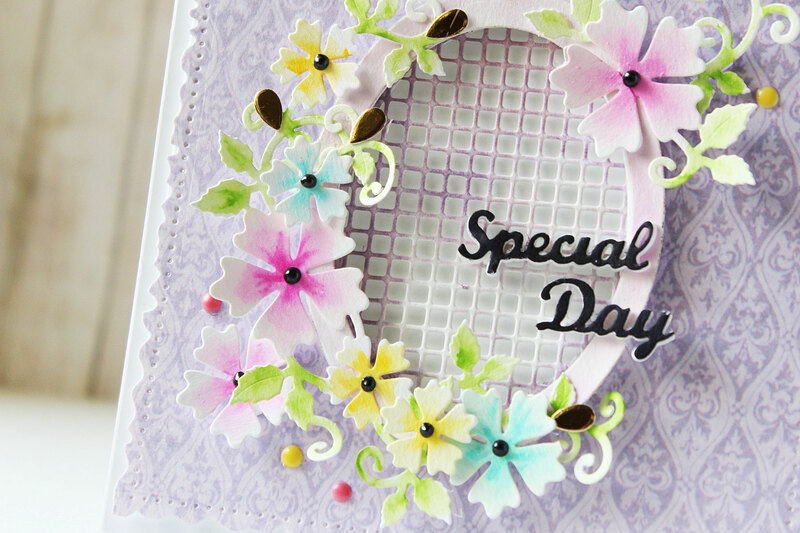 To embellish my card, I die cut the lattice oval die from the Floral Oval die set. I used White 80 LBS cardstock for die cutting the oval. I also die cut the same die from some White Fun Foam so that I could pop the white die cut piece on the foam for added dimension. I lightly colored the frame using a light pink marker. I also added touches of purple ink here and there on the lattice frame so that it would highlight the pink. I wanted this card to have a very light, fun, and whimsical look to it so I decided to create some simple handmade flowers to go with the frame! 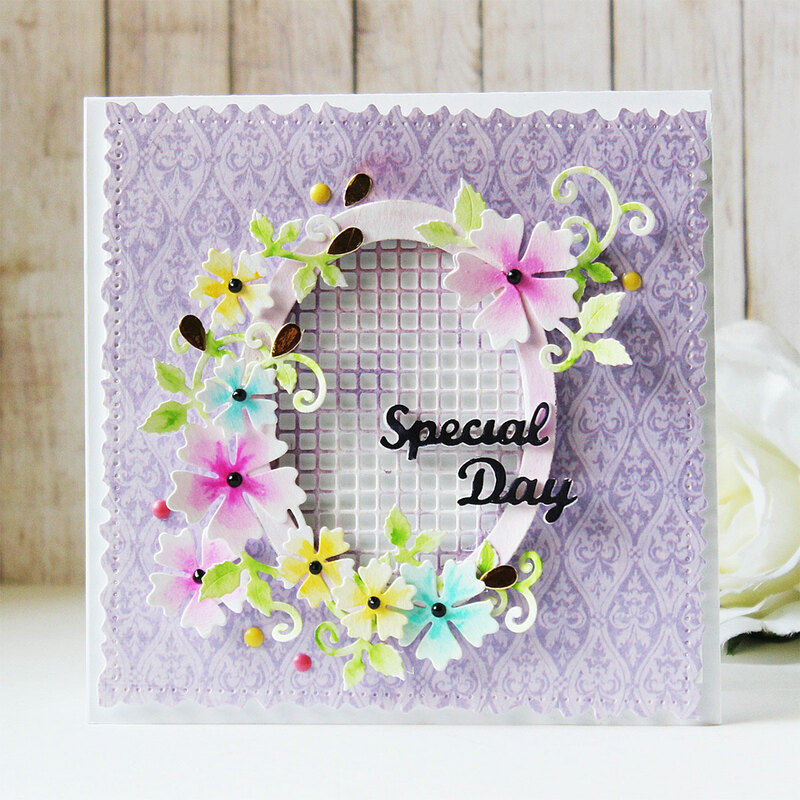 I used the flower crescent die from the Floral Oval die set to create the floral foliage around my frame. I die cut the flowers from white cardstock, colored the centers of each flower using different color markers, and added a black enamel dot to the centers. 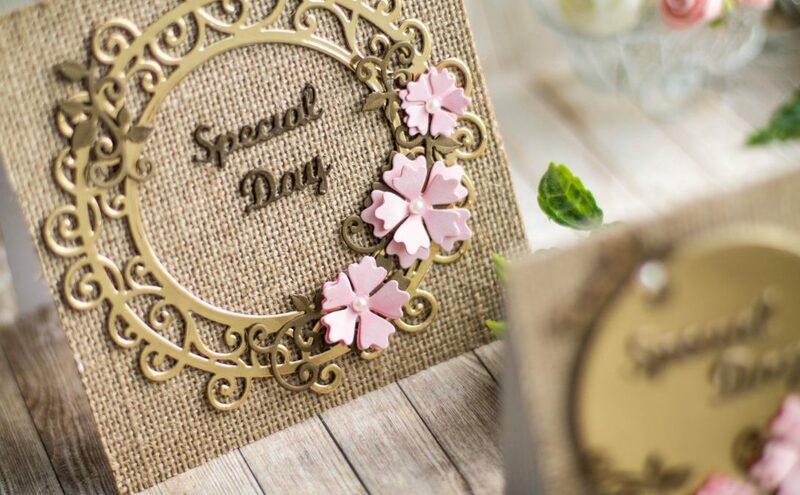 So simple yet pretty, isn’t it? 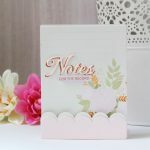 The Floral Oval die set also offers stand-alone flowers in case you don’t want to use the entire flower crescent die, which I think is very thoughtful and well designed. 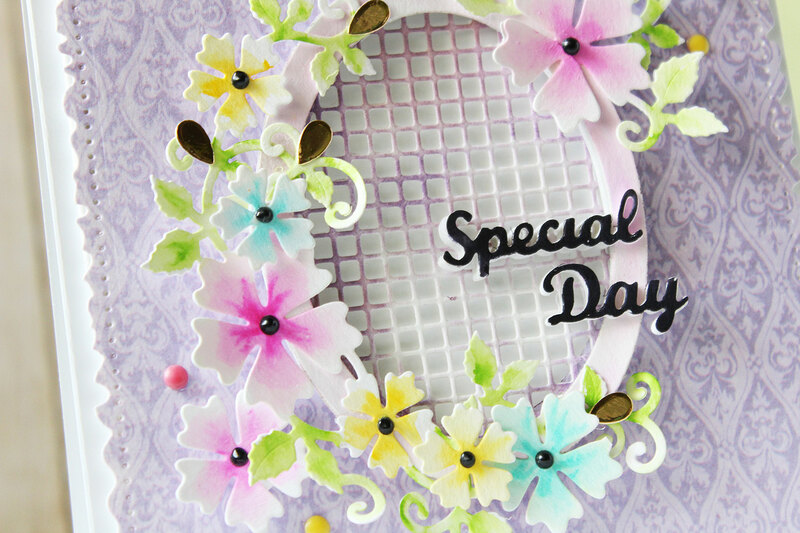 I die cut the largest flower using the stand-alone piece and added it to the right side of my card to help balance my card design. 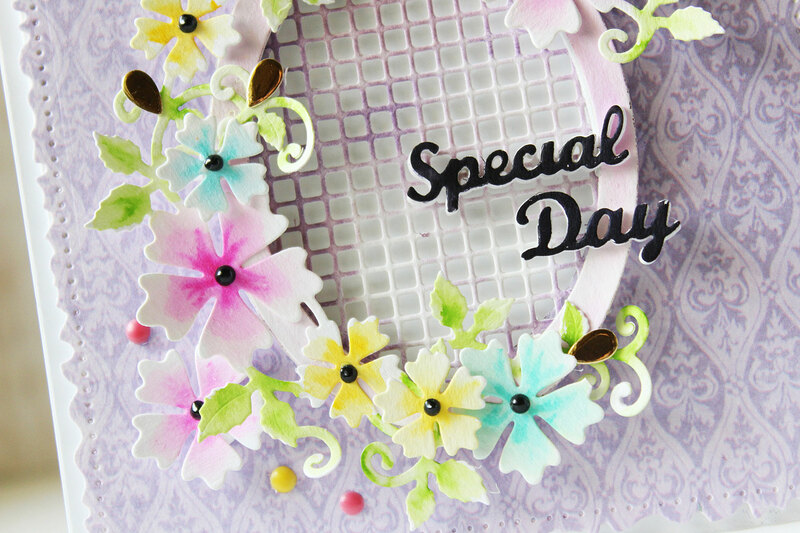 The Special Day sentiment comes from the Special Day Frame die set. I die cut it from black cardstock and popped it using white foam for dimension. 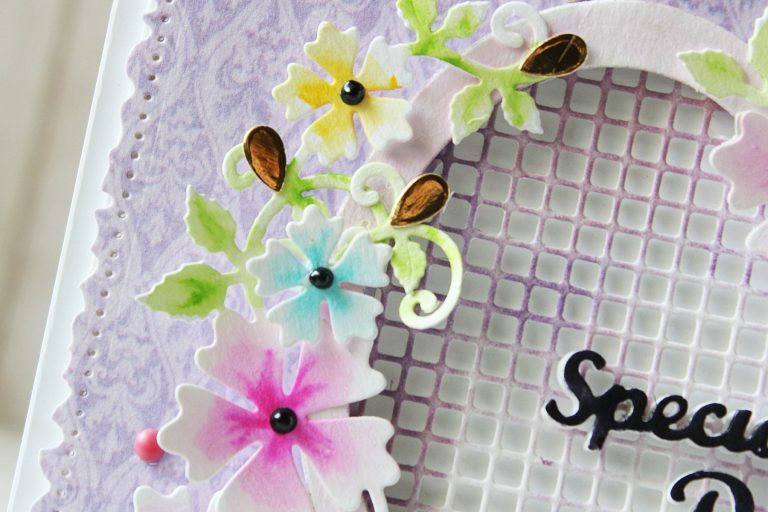 Here’s a close up of the florals. 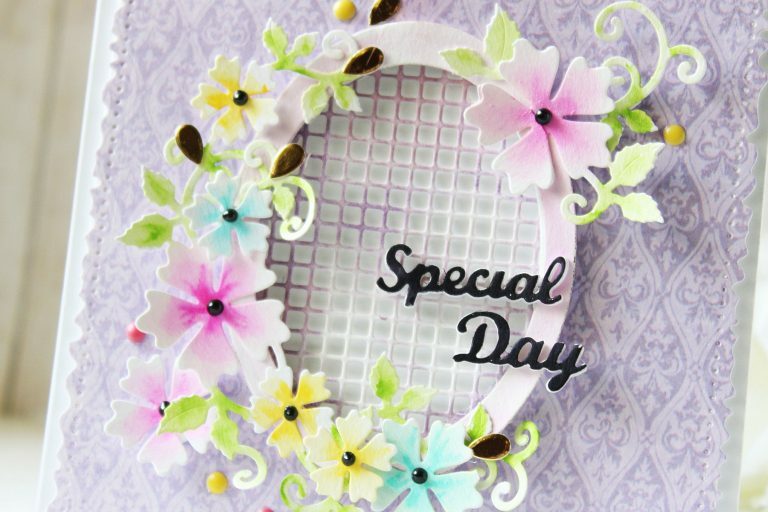 I loved how this card turned out 🙂 What do you think ? 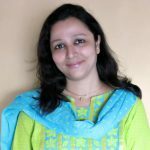 Thank you so much, for taking out time and reading my post. 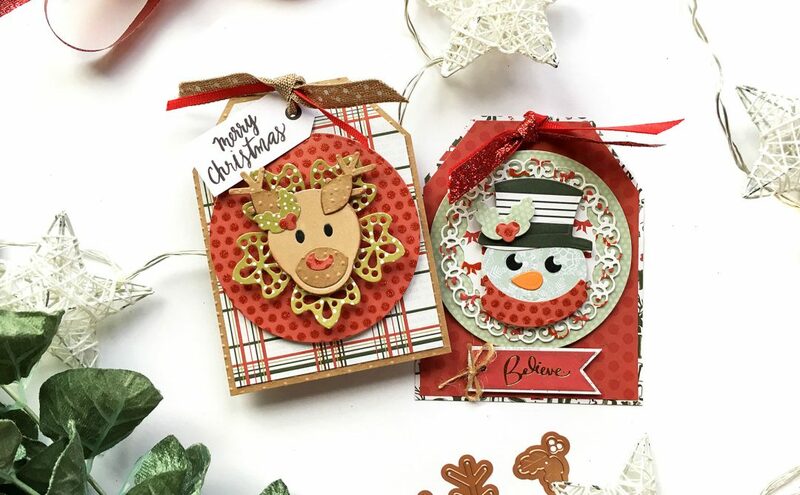 If you liked my card, please do leave me a comment below. 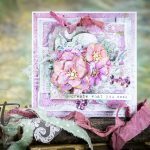 I just saw this card on Instagram and wanted to pop over and leave you a comment. 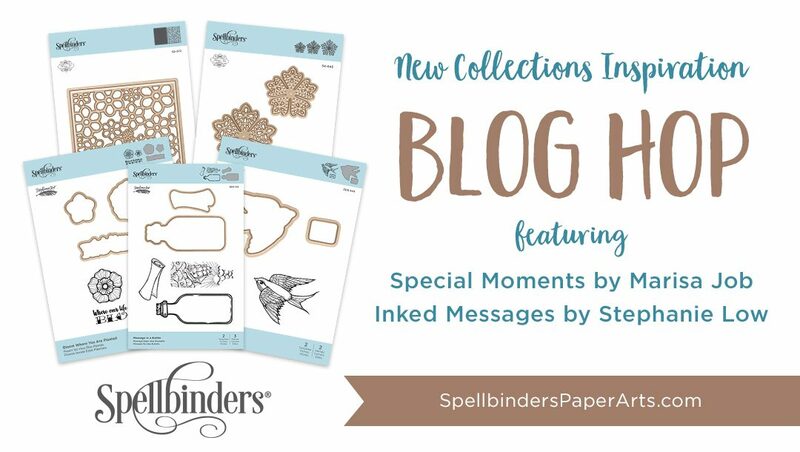 I’ve seen all three posts here on the Spellbinders website. 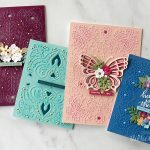 Beautiful cards – each and every one!